People often avoid visiting the dentist out of fear or in order to reduce costs. But the consequences of skipping these visits can be huge — from serious toothaches that require complex treatment to chronic gum disease that is costly to treat, tooth loss, and much more. So while you may feel like you are saving yourself money or protecting yourself from discomfort now, the cost of delaying treatment could be far greater in the long run. You don’t have to do anything special to prepare for a checkup and cleaning — just show up and get ready to relax while you make your way to improved oral health. During the cleaning, your hygienist will thoroughly remove plaque and tartar buildup from your teeth and around the gum line. They will also monitor your periodontal health and determine whether or not you require gum disease treatment. Once your dentist is ready to begin the checkup, they will carefully evaluate each one of your teeth. They are looking out for existing cavities, weak spots which could turn into cavities later on, worn out dental work, and other issues. 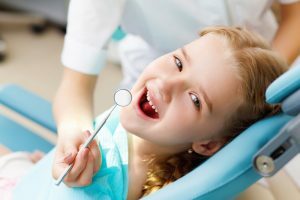 If X-rays have been taken, the dentist will also look closely at these to identify any problems that could be lurking beneath the visible surface. After this visit is complete, your next visit will be scheduled for as soon as is necessary given your particular oral health needs. For most people, that means in 6 months! No matter how much time has passed since your last dental appointment, it’s not too late to recommit to your smile! Your dentist will never make you feel guilty for letting your hygiene habits slide — the most important thing is that you are taking the necessary steps for smile health right now. Don’t hesitate to get in touch with your family dentist for a checkup and cleaning this month! You’ll be saving yourself time, money, and stress later on when you do. Benchmark Family Dental offers comprehensive dental care from the comfort of a state-of-the-art practice in Copperas Cove, TX. Patients of all ages are welcome to visit Dr. Daniel Caraveo and his team of experts for superior dentistry. To learn more about preventive care or to get your oral health back on track, you are invited to contact the office by calling 254-547-4866 today.